Some great features of Samsung Galaxy Ace 2 are dual-core 800MHz processor, HSDPA 14.4 connectivity, 1,500mAh battery , 4GB of internal memory, 3.8-inch display, and Android 2.3 OS. The device will rollout first in UK by April. 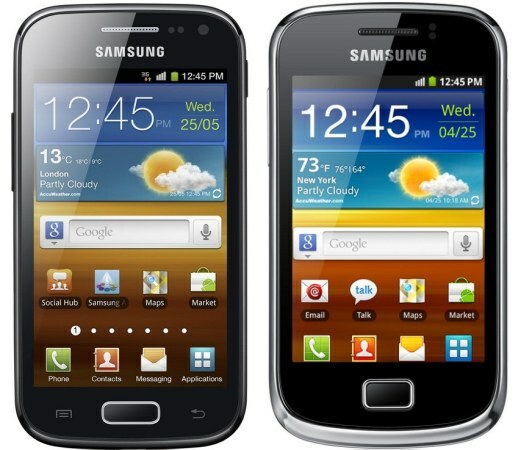 Samsung Galaxy Mini 2 will come with HSDPA 7.2Mbps connectivity, 800MHz CPU, 1300 mAh battery and 3.27 inch display,and Android 2.3 OS. It will hit the France by March. If you have a mobile phone, which supports Internet protocol via 3G or Wi-Fi, you can make VoIP call from your mobile phone. You can make voice call with another Skype users for free. You can add people who are on Skype. You can search them by their email address or Skype name. You just need to tap “call phone” tab. A call will be made and you can talk for free. You can also call a mobile phone number from the Skype. You need to buy a plan to make call to a number. Skype offers plans at very reasonable pricing.